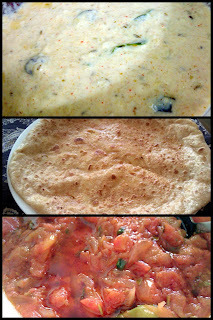 One of my favourite meals in the hot summer months is Aalo bharay paratha's (Paratha's stuffed with Potatoes) served with Tamatar ki Chutney (Tomato Chutney) & Loki ka Raita (Raita with Bottle gourd). 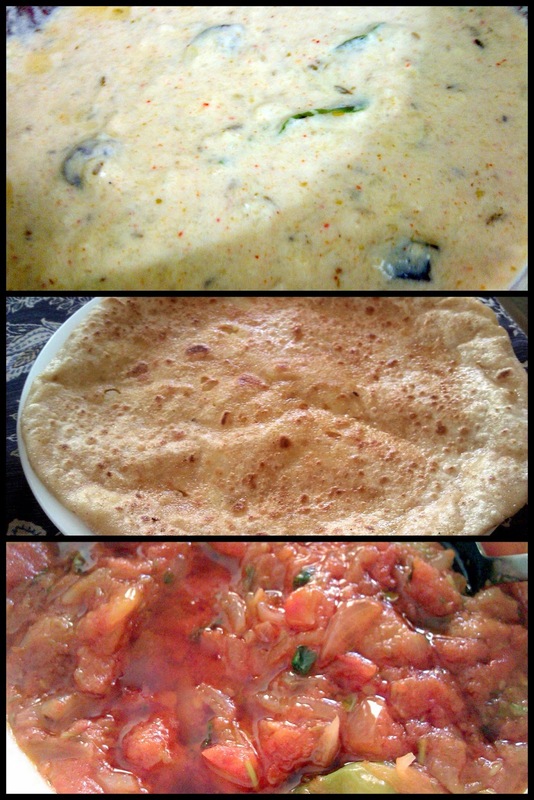 What we usually do is that my mother makes Aalo ka Bhurta for lunch, and then the remaining bhurta is used to make Aalo Paratha's. That's my preferred method of having the Raita, but it tastes just as great with roti or a normal paratha and in the hot weather, it feels good to have something light & cold. 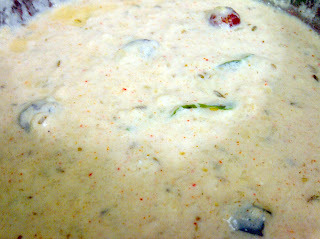 Just sharing a recipe of the Raita & Chutney right now, but will share the Aalo Bhurta recipe in another post. Heat oil. Add onions and fry while stiring constantly till light golden. 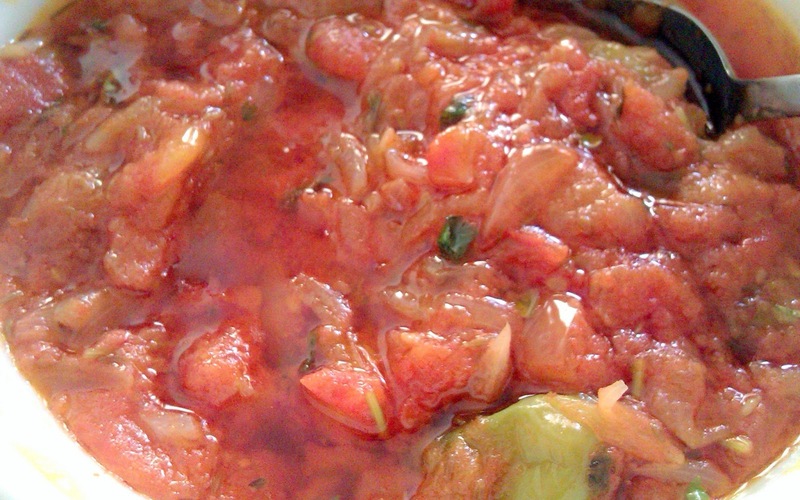 Add tomatoes and spices (salt & red chilli pepper). Cook on low heat, stirring every few minutes till oil separates. Add green chilli's and cook for 5 more minutes. Garnish with fresh corriander and serve slightly warm or room temperature. 1. Boil the squash/loki in about 3/4 cup of water for about 10-12 minutes till cooked and soft and mash if necessary (if the squash/loki has been grated, then mashing should not be necessary). Drain the water well. 2. Whisk yoghurt. Add bottle gourd/loki, salt, red chilli pepper, garlic & cumin seeds. Mix well. 3. Heat 1 tablespoon oil in a small saucepan or tempering pan. Once oil is hot, add cumin seeds, whole red chilli peppers and curry leaves and fry for a minute or two till toasted. Add the tempering ingredients including oil to the yoghurt mixture. Serve cold.